Cousin to The Old Fork and a piece of history, the River Rock Bar+ Grill is located in the former home of Henry Ashdown Green built over 120 years ago. 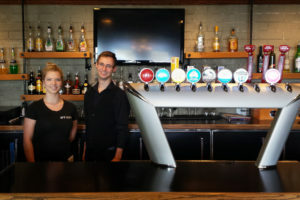 Now a bright and modern pub the River Rock is a local gathering place to enjoy delicious food and ice cold drinks. 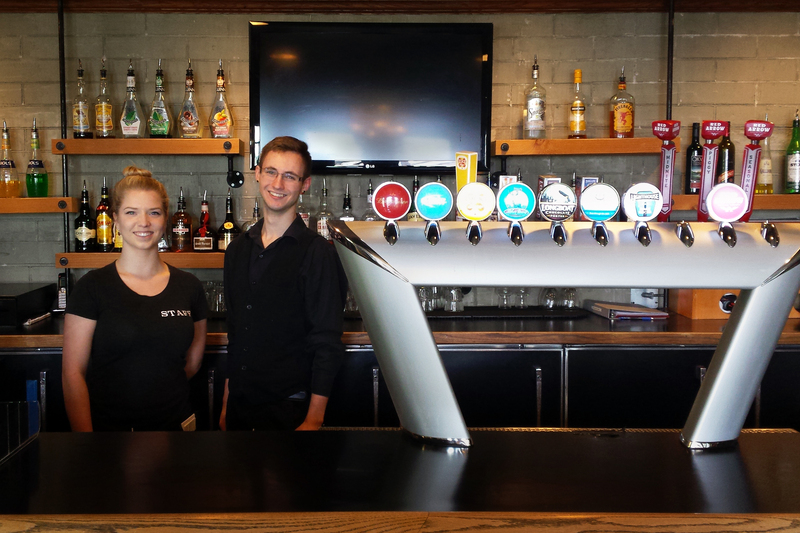 We’re proud to offer many local craft beers on tap including selections from Red Arrow Brewing and Phillips Brewing. We have monthly Live Music performances from local and upcoming artists that provide a late night, fun, and dance friendly atmosphere for the whole community to enjoy. Check out the events page for our band line-up. Bring in your guitar on Wednesday nights for Open Mic and jam with a great group of musicians for your turn on stage. With 7 flat screen TV’s, Keno, pool table and a digital juke box the River Rock will keep you entertained while enjoying your beverage of choice.